Are the mechanics of the task proving too difficult? What part of the task? Sometimes you may just need to help get the task started, and then he can take it over on his own or you can help with a small part of the task. And, if he forgets mid-stream what he is doing, use visual clues to get back on track (calmly and lovingly). If your loved one seems confused about what to do, use “body memories” which are sensory prompts to help him or her start or complete an activity. Handing the person a fork at mealtime may prompt him to begin eating. Giving her a toothbrush with toothpaste on it in front of the sink, may prompt her to brush her teeth. Putting a hairbrush in her hand and guiding her hand may prompt her to brush her hair. Reminding yourself regularly to assess whether you can “take a step back” when caring for a loved one with dementia may be difficult at times, but is essential to maximize your loved one’s independence for as long as possible. To learn more about the best techniques for caring for a loved one with dementia, contact North River Home Care. 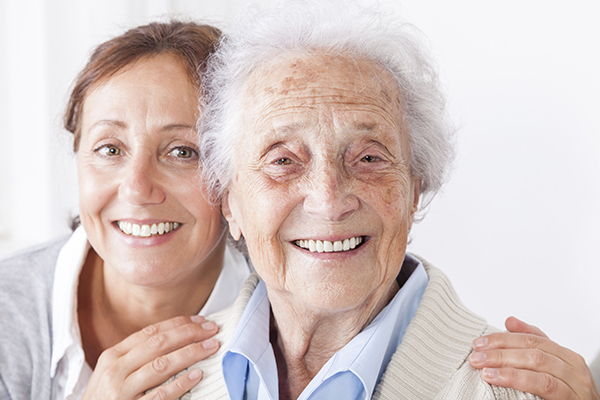 Our caregivers are professionally trained in providing compassionate care for persons with dementia and essential support for family caregivers who need time to care for themselves.